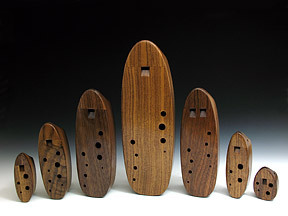 Prized by musicians and collectors alike, these wooden "Sweet Potato" ocarinas are accurately tuned to concert pitch (A=440) and carefully voiced to have a rich, warm tone. 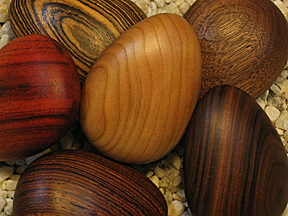 Various woods are available for custom orders. 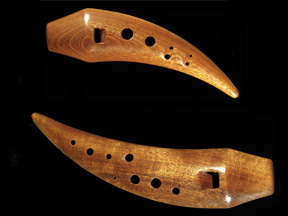 Ocarina shown at left is made of Cocobolo. These are my original inline ocarinas designed in the early 1980s. Much lighter than clay or ceramic ocarinas of the same size, they are easier to hold and play and are a great choice if you are new to ocarinas. 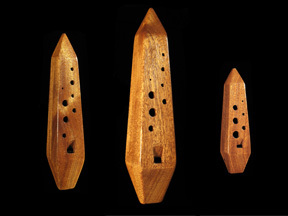 Introduced in 2015, my Obelisk ocarina is based on the stone pillars found in many cultures throughout history. My new Eclipse ocarinas were inspired by the total solar eclipse that crossed America in 2017. 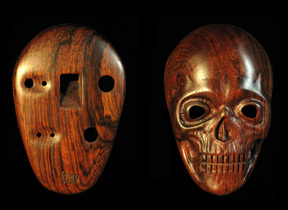 The Skull ocarina hardly needs an introduction. 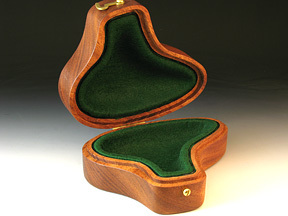 Made of rosewood in two sizes...a pendant to hang as a necklace, and an inline alto to fit in your pocket. New for 2017! 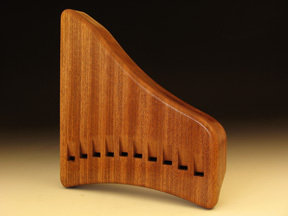 This is my wooden version of the historical gemshorn, an early forerunner of the ocarina. New for 2017! 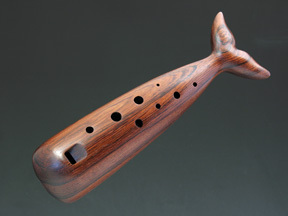 A whimsical new ocarina with a great tone and range. Created in 2017 for the musical theater production of SeaWife, the story of a haunted whaling ship from the 1800's. 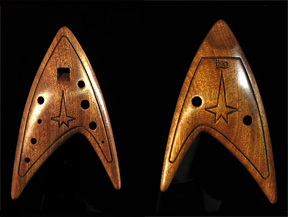 New for 2017, my Star Trek ocarina is based on the emblem worn by the crew of the starship USS Enterprise in the Star Trek series. 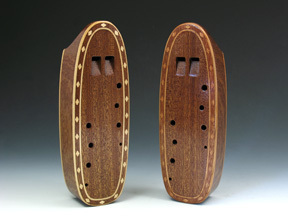 New for 2016, these special inlaid instruments are the ultimate combination of woodworking and ocarina making. A hand held pipe organ that plays like a harmonica. Introduced in 2009! These cases provide the ultimate protection for your most prized ocarinas. 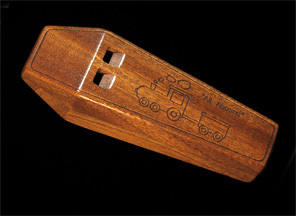 New for 2017, my train whistle is a perfect way to introduce your young child to wind instruments. Introduced in 2008, these rhythm instruments are played like maracas and make it easy for everyone to join in the musical fun. 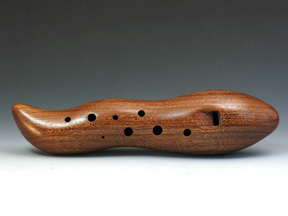 With all the variations and choices of type, voice, and wood, how do you choose an ocarina? Learn the differences here. 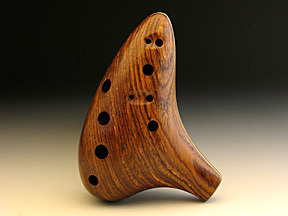 All the sizes of Inline or Sweet Potato ocarinas may not be in stock at any given time, and you may request an ocarina with a specific wood or design.